You are looking at a very unusual and Mysterious (some of Russian historians and collectors call it) Medal for the Campaign into Japan 1904-1905. They call it Mysterious because this medal was never officially instituted. 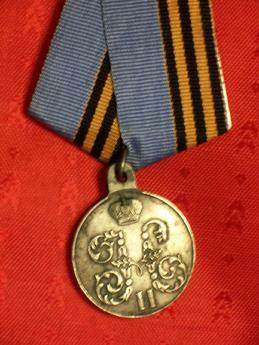 This medal is to commemorate the 1904-1905 conflict between Russian and Japanese empires. The obverse of the silver medal bears the crowned cipher of Tsar Nicholas II. 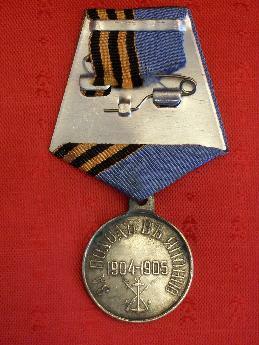 The reverse of the Medal has in the centre of field the dates: "1904-1905" with below an anchor placed upon a crossed sword and rifle. The circumscription means: "For the Campaign into Japan".